This series of large scale photograms focuses on the stretch of the Columbia River from the Hanford Reach to its mouth on the Oregon Coast. The one-of-a-kind camera-less photographs were made by submerging up to 8’-long sheets of photosensitive paper directly in the water at night, exposing them to a flash of light and then developing the silver-gelatin prints in the darkroom. The work is related to the artists’ earlier collaboration, Shadows, which evoked the shadows left by victims who were vaporized by the atomic bombings of Hiroshima and Nagasaki. (Not merely incidental to Columbia River Shadows is the fact that the plutonium for the bomb dropped on Nagasaki was developed at the Hanford Nuclear Reservation, on the shore of the Columbia River.) Reflecting on interdependence, this project alludes to such interrelated themes as migration, water politics, the Great Pacific garbage patch and the atomic era. As a meditation on the challenges of comprehending, sensitively feeling and bearing witness to the global environmental crisis, this project is meant, in its turn, to encourage meditation and inquiry. The idea of presence, or immediacy, is central to the photograms. For the artists it is significant that the river and ocean waters flowed directly over the paper, that plastic detritus, fallen tree limbs and river grass rested on the paper and left their traces. 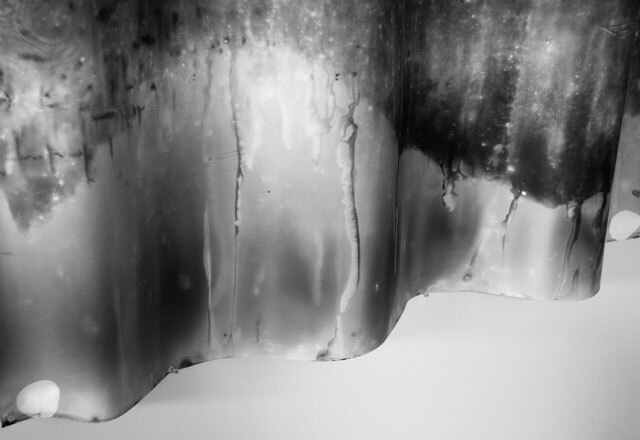 The artists hope that these marks evidencing ephemeral contact encourage viewers to physically experience the presence of these intermingled trash objects, living things and living water – and that the photograms even summon the presence of the invisible, as in the unseen toxins coursing through the waters. 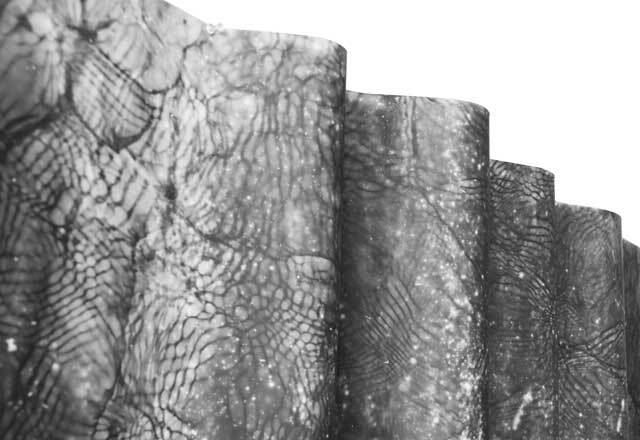 Through this valuing of haptic sensing in addition to visual and intellectual perception, perhaps the work can allow viewers to approach cognitively-overwhelming environmental concerns with embodied and experiential understanding. 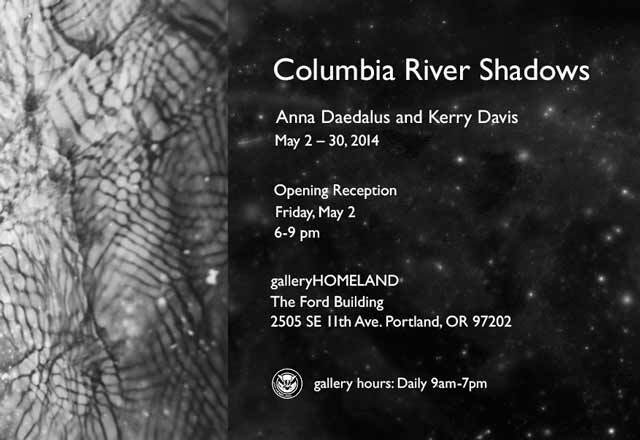 Columbia River Shadows ©2014 Anna Daedalus & Kerry Davis.